Many people suffer with chronic pain, exhaustion, or other physical health issues. It can be frustrating when you feel there are no answers or help for your condition. 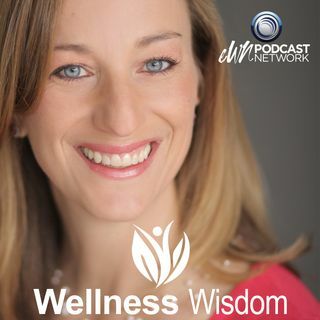 Dr. Cassandra Schamber, is a family practice doctor who has discovered the power of Mind Body medicine. Dr. Schamber shares how many of our medical conditions can be connected to emotional blocks. She talks about how our body holds on to negative emotions and when we stuff emotions or put up a wall to feeling them, it ... See More actually interferes with the body's natural healing power. Dr. Schamber shares her own experience as a resident doctor feeling like she was the pushing too hard through medical school and noticing it was having a negative impact on her health. She shares experiencing shame about not being able to keep a rigid schedule as an intern. This led her to want to understand how the emotional connection influences the physical body. 1) physical emotions 2) thoughts and 3) intuition. She says we must honor the physical sensation of emotion, and recognize the unhealthy messages we tell ourselves and then create new messages, and explore our inner voice through connecting to our intuition. She acknowledges that stuffing emotions takes a lot of energy. She says we must work to protect our energy flow from being blocked. When nothing else works people come to Dr. Schamber to get relief from their pain and discomfort. She helps them explore negative messages from their tribe, feel the negative emotion, and create new positive messages with high vibration energy. Dr. Schamber believes you can heal yourself. You can find new thoughts to help you relax, improve pain, and let the emotions flow. You can heal yourself and change your life from the inside out.